The Beauty Scoop: New Year, New Releases! This is really not my favorite time of year. There are no big holidays to look forward to (sorry Valentine’s Day), spring is around the corner but definitely not sprung, the cold and wet and dark days are set to continue for another, oh, say two months? I know many of you up there in those northern climes have much more wintertime to deal with, and my heart goes out to you. But I have a little something to cheer us all up, because it’s not all doom and gloom, I promise! Most companies release new products throughout the year, but many save big revamps for the beginning of the year. A number of our most popular brands have done just that, and you should let that add some sunshine to your life! 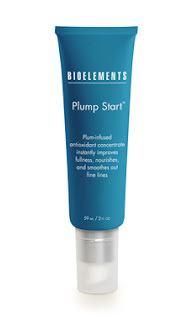 Bioelements is no joke, a leader in the industry insofar as professional training is concerned. That’s actually how they started. Inevitably, when they release a new product, it’s because they’ve seen a need and have found a solution that they trust enough to use in their spas all over the country. And the best part of THAT is that it is one of their company tenants that you, the customer, should be able to maintain your treatment at home with the same quality product. That’s right. They make esthetician quality products for you. Enter their latest release, Plump Start. What do they say about it? What we’ve noticed? Bioelements doesn’t do a product release halfway. I’ve tried a sample and my dry, sensitive skin drank it up. I’m definitely considering buying the full-sized unit and seeing what plumping my skin every day will do. We just started carrying Enjoy after receiving recommendations from friends and customers alike, and this brand has been FLYING off the shelves! Everyone I’ve talked to loves the delicious scent, the hair-aware ingredients and the efficacy of the products. I know I’m in love with the Luxury Conditioner (I alternate it with another favorite of mine to keep the crazy curls hydrated), but their new release, the Protect & Shine is all about keeping your locks smooth, shiny and protected from heat treatments. As the weather heats up and you start pulling out your curling iron, keep this treasure in mind. Who doesn’t love a little bit of a pretty pick-me-up? 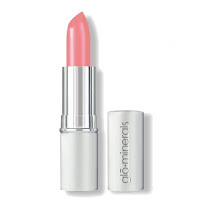 If you haven’t fallen for GloMinerals Lipsticks yet, now is the perfect opportunity to give them a try. While these two particular colors are in production, GloMinerals is even donating a portion of the proceeds to the National Breast Cancer Foundation. And what are they? Glaze is a warm brown sugar with a hint of sparkle that layers beautifully. Confetti is your classic light pink, airy and fabulous with its hint of tutus and candy. Both are sweet limited edition releases that your beauty bag probably needs.